Men are infinitely creative and resourceful, in big ways and small. I was going into Trader Joe's in Rockville, Maryland when I spotted an unusual image in the parking lot. 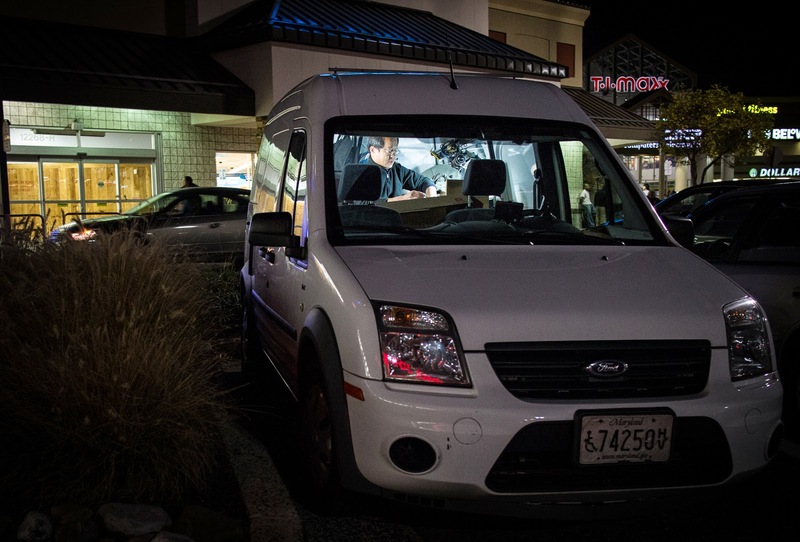 It was dark, and a light was shinning from inside a small white Ford Transit Connect van. It looked almost surreal and out of place, so I had to go over and take a closer look. 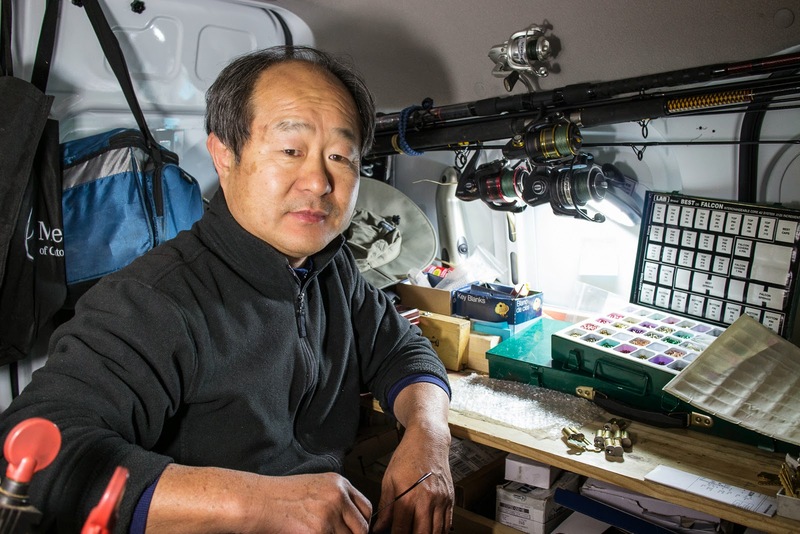 This fellow had set up a locksmith work station complete with light, work bench and all the necessary tools in the back of the little van. He even had a place for his fishing rods along the inside of the van wall. Doesn't he remind you of the Keymaker from the Matrix movies?